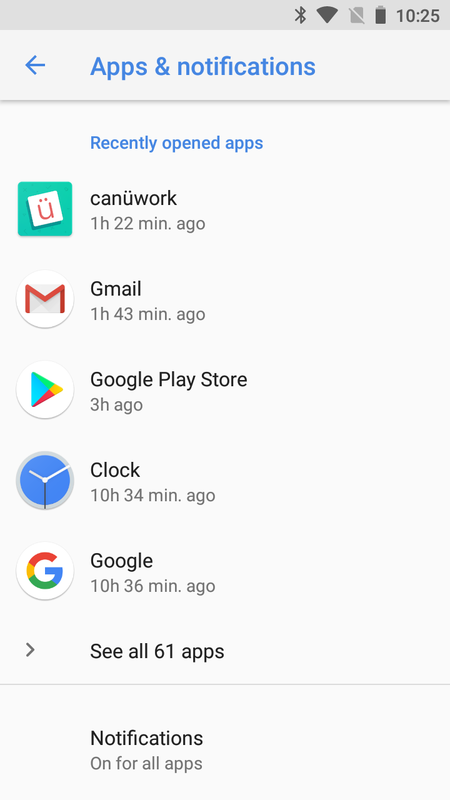 Within the canüwork app, go to Settings and tap on Notifications. This should show two checkboxes for turning notifications on and off. They will show a green tick if they are on. If the main Notifications checkbox is off, attempt to turn it on by tapping the checkbox. 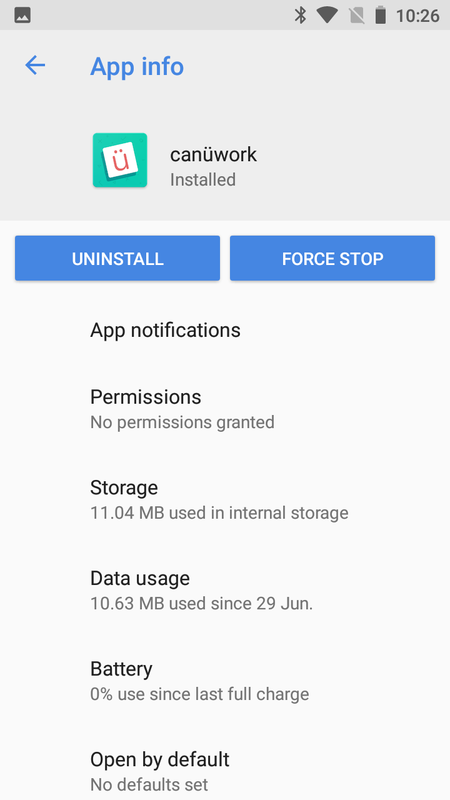 If if will not turn on within the app (green tick) , then you will need to go into your Android Settings then select Apps and notifications (see below). This will allow you to customise notifications for each individual app. Select canüwork. Now tap on the item 'App notifications'. 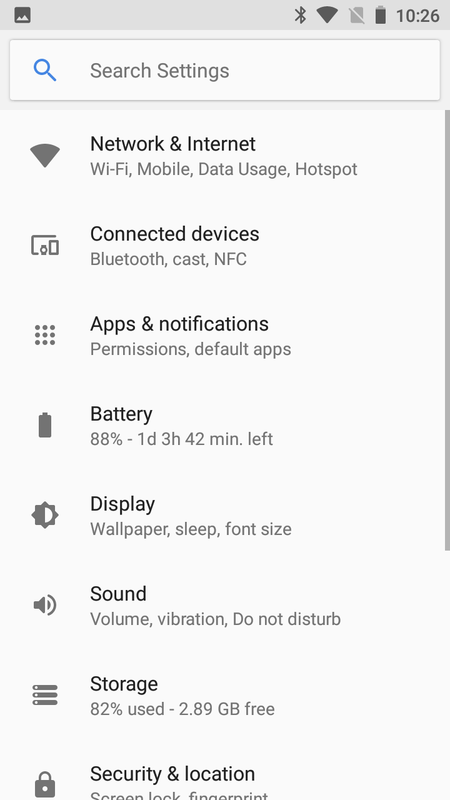 This will show the status of the Android notification settings for canüwork. 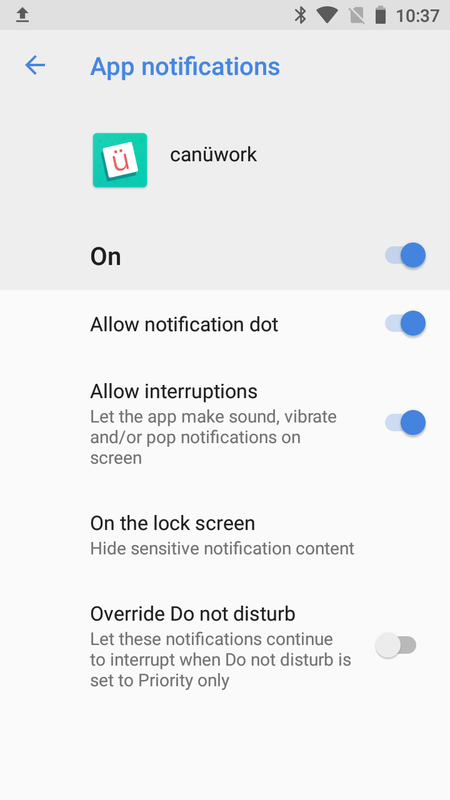 Ensure this is turned on so you can control your notification settings from within the canüwork app. Now you can go back into the canüwork app and ensure notifications are switched on (canüwork's Settings screen). You can now rest assured you won't miss any work requests.